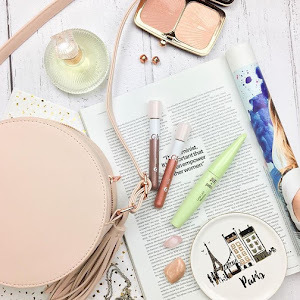 I really want to start posting more about fashion and crafts on my blog, as well as my usual beauty and lifestyle posts. 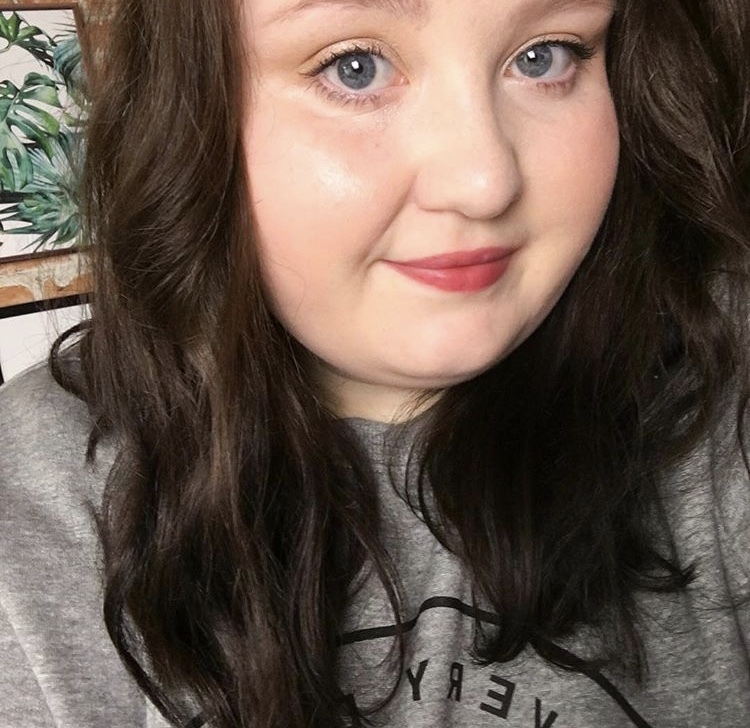 So when I saw that Alex who owns PurpleSharks wanted some bloggers to try out and review some of the iron patches which she sells, I thought it was a great opportunity and starting point to begin doing so. PurpleSharks is a website which sells random, cute and sassy iron on patches. 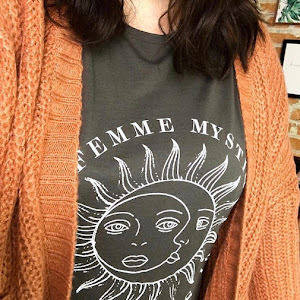 If you're like me and into all the statement patches on t-shirts and other clothing items, then you're definitely going to like browsing PurpleSharks! 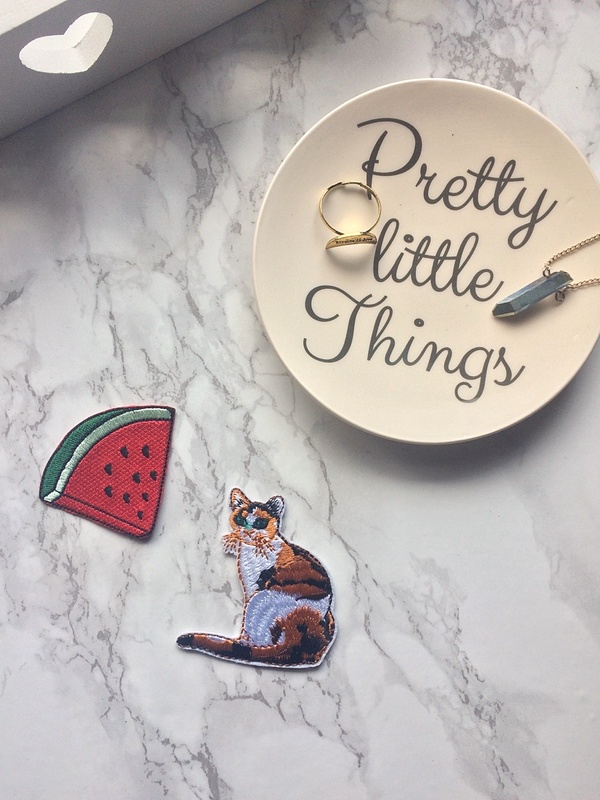 You can get anything from rainbows to sassy comments and animals, plus loads more! They range between £2-£3 each and the delivery price is just £1, which I think is a bargain to just brighten up a piece of clothing and give it a pop of colour. I've seen clothes with similar patches on them recently on Boohoo and in Topshop and they are asking silly amounts of money. 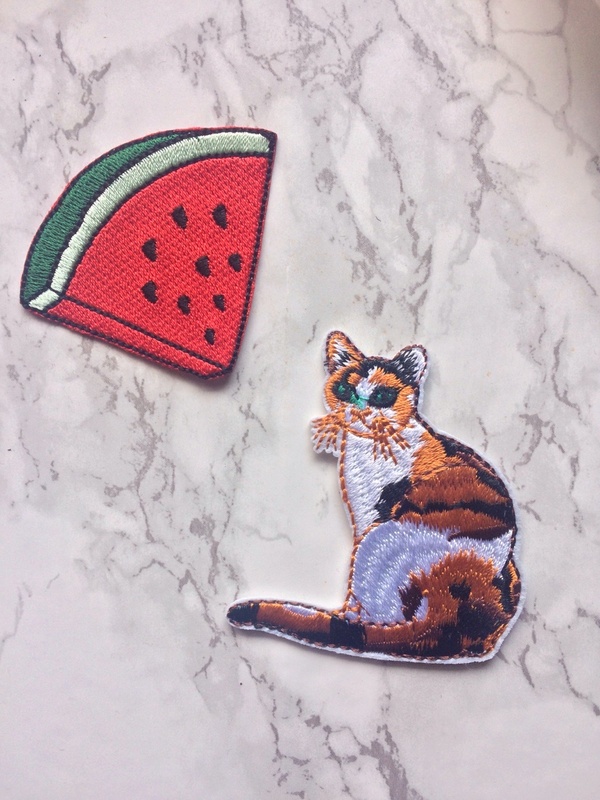 I was able to choose which iron patches* I would like to review so I chose a Watermelon iron on patch, just because I just really like Watermelon and obviously I had to get the cat one because I'm basically a crazy cat lady lol. The quality of both of them is so good for the price! Also, they have adhesive on the back of them so they are easy to apply. I followed this link here. I've only used the Cat patch so far, just because I'm stuck between a few tops to put the Watermelon patch on. But when I decide on which to apply it to, I will post a photo on my instagram. I love how it's brightened up a boring plain black top. It was super easy to apply. I used a cotton tea towel instead of a handkerchief over the top of the patch when I ironed it on and it turned out fine. I will admit I hate sewing, but you should sew the patches afterwards so that it improves the longevity of the patch. 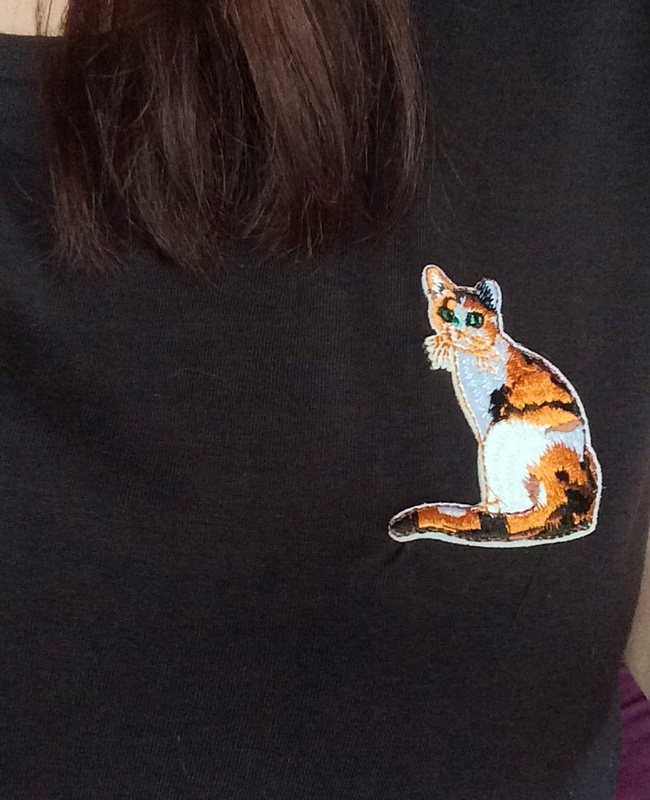 Overall I love my cute cat patch and it's definitely made my top look cuter. You can browse Purplesharks here! I love that little dish!